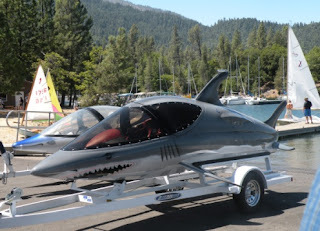 The Seabreacher J series were designed by Rob Innes and Dan Piazza of Innespace for recreational boating. 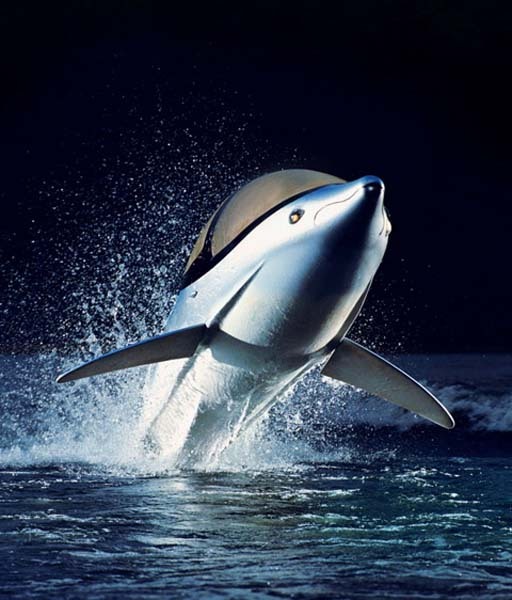 The concept of a submersible craft imitating the movements of a dolphin was first conceived by Thomas Rowe and Dennis Kaiser in 1987. 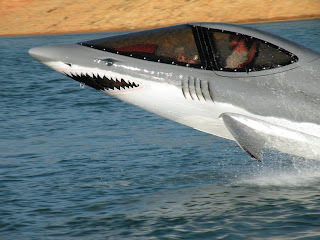 A 215 hp Rotax engine yields around 40 mph on the surface and 20 mph below the surface. The Seabreacher can generate a 12 feet (3.6 meters) leap with a 6 feet dive. Snorkel mounted cameras can be used to send live video feed to the built in LCD display. The Seabreacher X, designed with the body of a shark, can support 260 hp Rotax engines. This variant yields 50 mph above water and 25 mph under water. Both variants X and J are composed of tough fiberglass materials to create an impact resist body. The canopy consist of a half inch polycarbonate material which are also used in fighter jets. There are three automatic bilge pumps added as a precaution for any leaks that occur. Even with all the built in safety designs, the makers still recommend there be a support boat to keep other boats away. The visibility is very poor during a dive as seen in the video. Seen above are examples of some custom paint jobs that adds much flare to the personal watercraft. The Seabreachers are targeted to the luxury yacht industry and comes with an enormous cost that most ordinary people probably won't be able to afford. 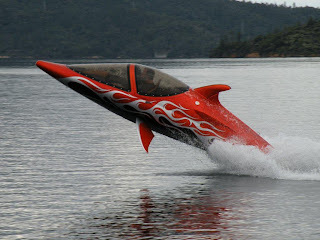 The price tag on these specialized jet skis range at around $65,000 to $85,000 depending on the level of customization. hands down, this is the best thing i've seen all day! 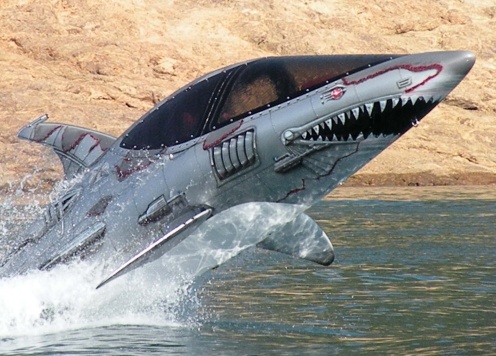 Oh god that thing is so awesome I don't even know where to begin. OH MY GOD! I want this thing so badly! I would be the queen of my lake. Ditto what Digger said. I would totally kill myself in one of these.